SLIME! Heard of it? If you have young children, then I’m sure you’re aware of the SLIME craze! 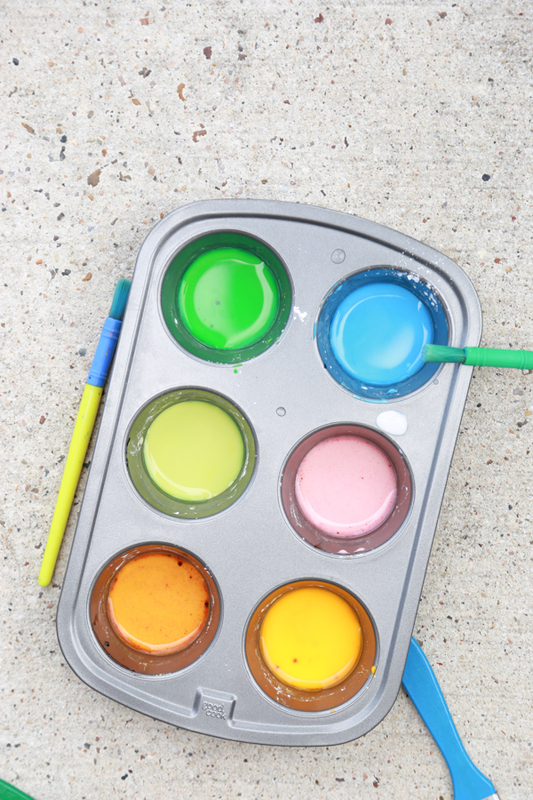 With school out for the summer, it’s a great time to make slime with the kiddos. 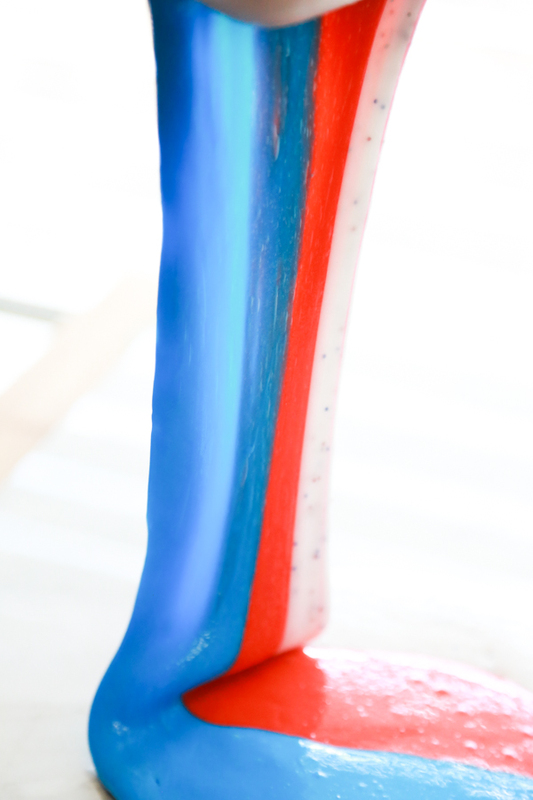 And since July 4th is right around the corner, this Patriotic Slime is the perfect way to get some red, white, and blue incorporated into your child’s play time. Two of the great things about slime is that it is so easy to make and the ingredients are pretty inexpensive. With three months of summer, activities and crafts can get kind of expensive. When you buy in bulk and use FREE 2-day shipping with Amazon Prime, you save yourself a trip to the store, gas money, and time. That’s a perfect situation for me! Easily purchase everything you need to make Patriotic Slime and have it delivered right to your door. 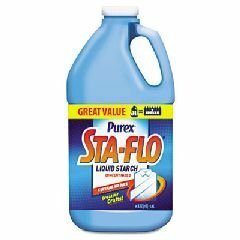 It can be hard to find Sta-Flo in stores, so it’s super easy to pick some up on Amazon. It’s the one I use and it works perfectly for making slime. 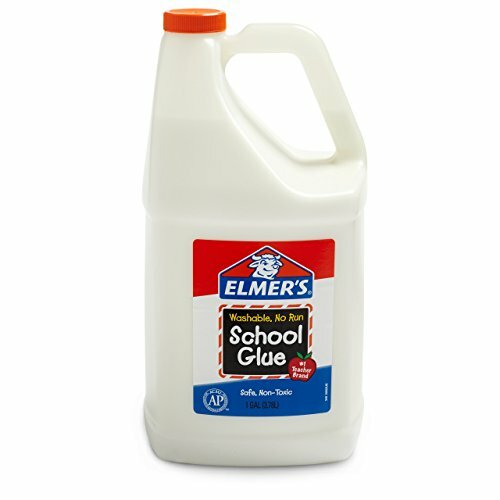 And because SLIME is all the rage these days, glue can be pretty hard to find in stores. So if you can find some in stock on Amazon, grab a gallon size and you’ll be able to make slime all summer long! Learning how to make slime can take a little bit of time, but once you get the hang of it, it’s pretty simple. I made a video to show you all the stages slime goes through before it actually becomes slime you can play with. 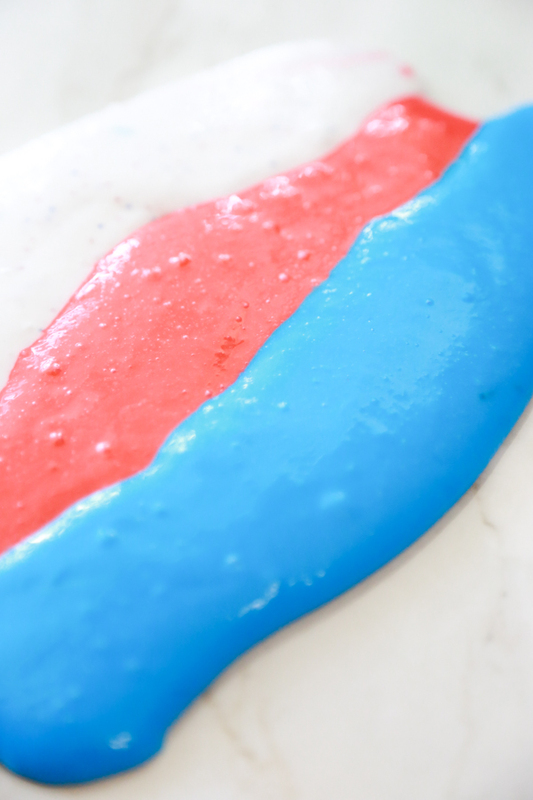 How to Make Patriotic Slime video! Making slime is not an exact science. 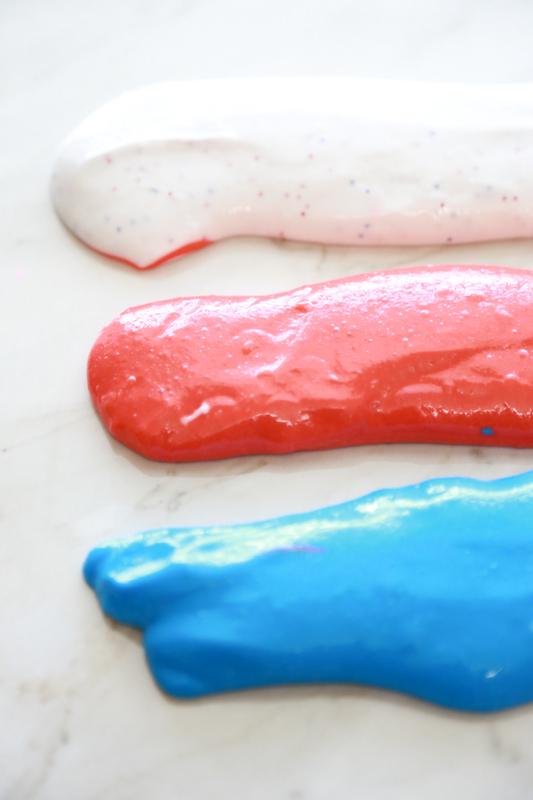 But, with the right ingredients, you will be successful at making Patriotic Slime with a bit of time and patience. Pour 1 cup glue into 3 separate bowls. Use food coloring, a couple drops at a time, to get the color you desire. Stir well to incorporate food coloring fully. 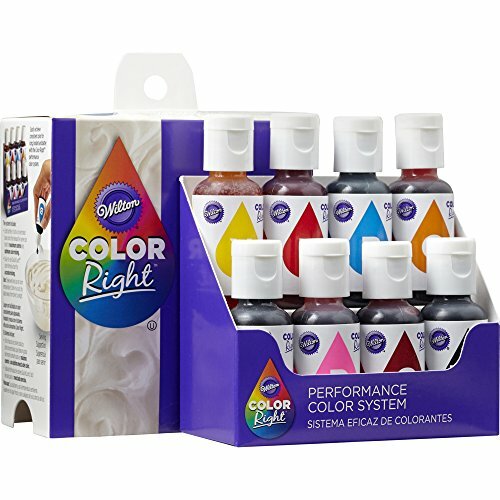 This food coloring will not thin out the glue and provides such vibrant colors. Once you get the colors you want for the red and blue slime, you can begin adding liquid starch, one bowl at a time. Pour liquid starch into one bowl and begin stirring. A ball will start forming almost immediately. Slowly add more liquid starch and continue to stir. Once you see a defined ball forming, remove from bowl and begin kneading in your hands. Pass back and forth between your hands. It will stick to your fingers and hands but the more you play with it, the less it will stick to your hands and fingers. Pull it, twist it, and squeeze it until it forms the perfect slime. Please note: It will start out very wet and begin to form as you play with it. Don’t give up on it. Also note: If you want you can add red and blue glitter to the white like we did. Once you have your red, blue, and white slime, place the colors side by side and pick up with your hand. You can let it cascade down from your hand or you can squeeze it, pull it, or twist it. Doesn’t it look so pretty? I love the way this Patriotic Slime turned out. It’s a perfect activity to do with the kids this summer! After the kids have played with this Patriotic Slime, it turns into a gorgeous purple color after the colors have mixed together. To store for play later, put the slime into a zip-close baggie or a plastic or glass jar. It will stay for at least a couple weeks. 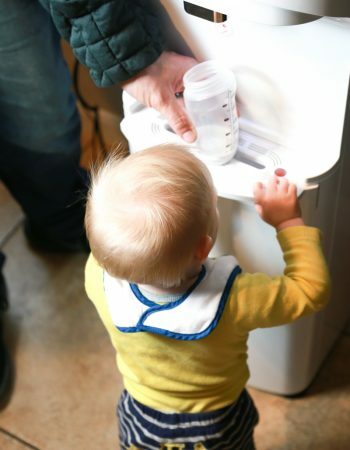 To make it last longer, have your children wash their hands before playing. And it’s always best to have them wash their hands after playing, too! Homemade slime is a favorite here in my house. Yours is perfect to keep the kids busy on the 4th! That’s so fun! Slime makes everything better for kids. I think my kids would love this. I have to make this with my sons. We’re all big fans of slime. They love it, and I’ve loved it since I was a kid. 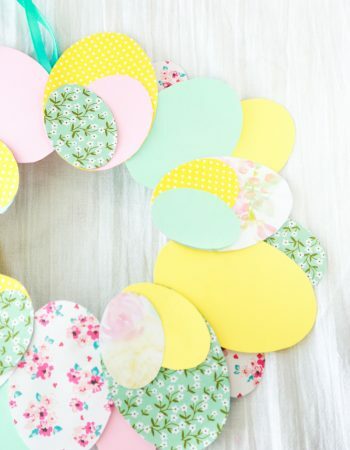 I love everything about this and I need to make this with my grandsons, they’ll love it too! This is great and it seems easy too! 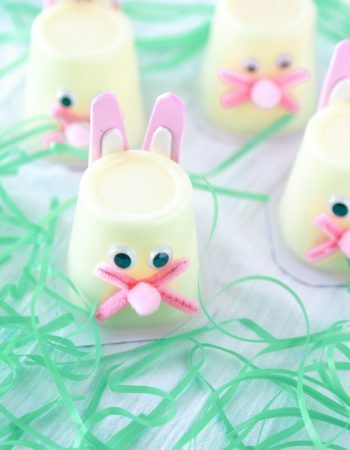 Slime is always fun and the colors in this recipe are so vibrant and pretty. My friend’s kids have been aski me how to make slime. I need to do this with them. Everyone is making slime, so much fun and super easy to make. 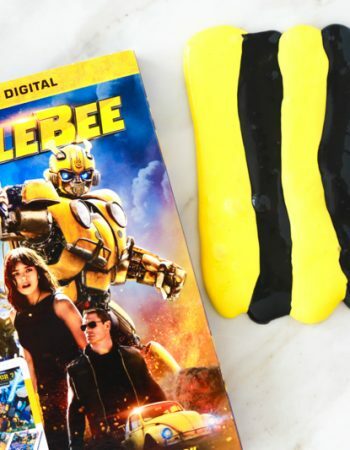 I am betting this may be the most popular craft/artsy project for families everywhere this summer and the supplies are not that expensive at all. 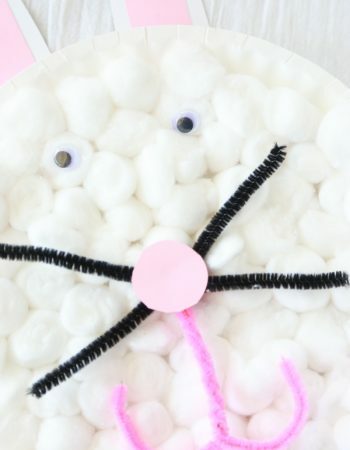 This is a pretty fun slime for the kids! It’s a great way to get them excited for the 4th of July. I love that it requires very little ingredients! It’s super fun to make! That’s SO cool! I’ve been seeing a lot of people post slime recipes! It’s really popular these days, reminds me of the 90s! I think this is something that the kids will love. This is such a great idea! I am sure my kids will love to try this! My two girls are OBSESSED with slime. They would love to make this. They make it all the time, so fun! This is so awesome! My son and I make slime all the time when we are bored. This will be a fun new twist. That is such a cute idea! That would be great fun to adjust for any holiday! This slime is so pretty! I know my kids would mix the colors almost immediately. The kids would love this. Me and my sister are already thinking about activities to keep the little ones busy on the 4th. This is just perfect. Thank you for sharing. My kids have been wanting to make slime for quite some time now. I’m gonna have to give this a try. Thanks for sharing. I would save this slime recipe and would make them the grandkids are a little older and wiser to know that it is not food. LOL. Anyway, I could still send this link over to my cousin. Her school age daughters would love playing with this patriotic slime.